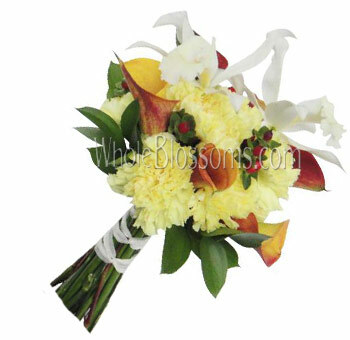 Bridal Bouquet is the most important floral piece you will see, besides the bride during the wedding since it communicates her style and personality. Regardless of shape, color, size, or variety chosen, it will enable her to express her creativity and individuality on her special day. It is typically chosen to accentuate bride’s gown, height, body type, veil, as well as the theme of the wedding. 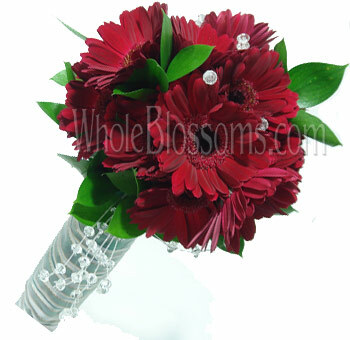 We offer a wide variety of pre-arranged wedding bouquets so you can choose the style the helps makes the perfect match. 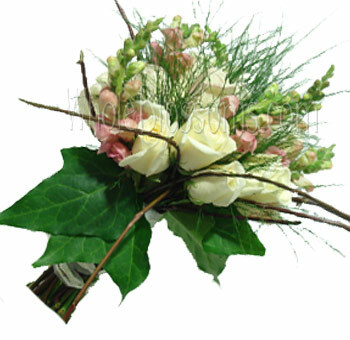 The bridal bouquet is one of the most critical aspects of the wedding décor. Without a doubt, it's the one statement that brings the whole theme of the wedding together. 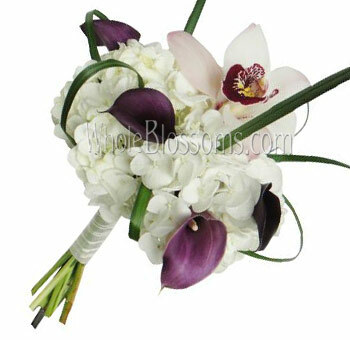 In the hands of the beautiful bride, the bridal bouquet is often the center of attraction. 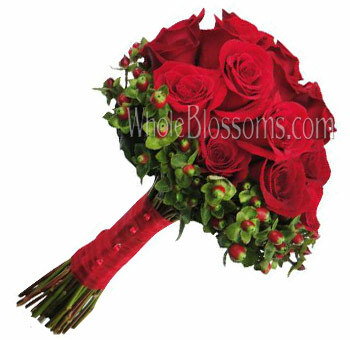 Bouquets have different types, but the most popular ones are hand tied and cascade bouquet. These bouquets have a rustic and vintage charm that is timeless and easy to create with a lot of flowers. 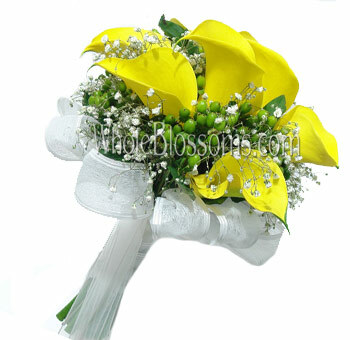 Bouquets have been used in weddings for as long as people can remember. Flowers, in general, have been a big part of the wedding décor in all cultures around the world. 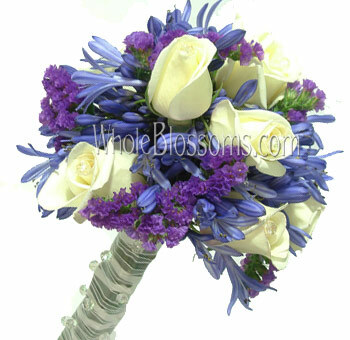 The bridal bouquet should be one with the theme or the color scheme of the wedding bringing it all together cohesively. 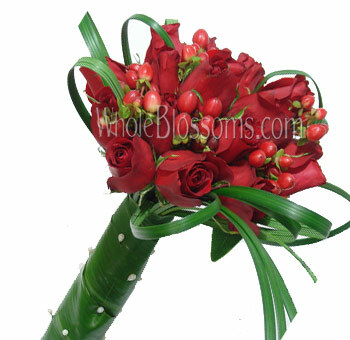 Bridal bouquets have types. 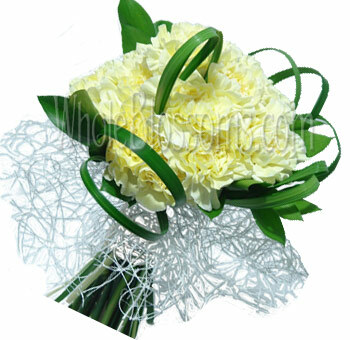 These types are divided on the basis of the size and the structure of the bouquet. 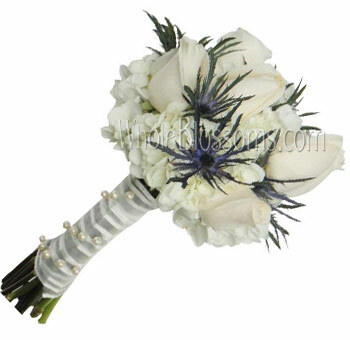 Brides need different types and sizes of bouquets according to their dress, wedding theme or preference. Brides wearing a simple and elegant wedding dress can opt to have a gorgeous and stunningly huge cascade or hand tied bouquet with big eye-catching blooms and greenery. 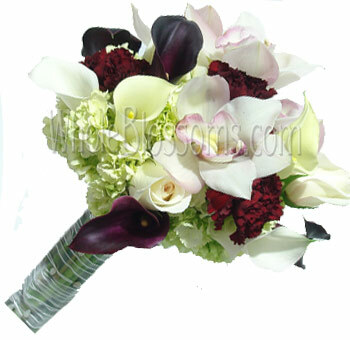 Brides with more elaborate wedding gowns can opt for simple composite or posy bouquet. 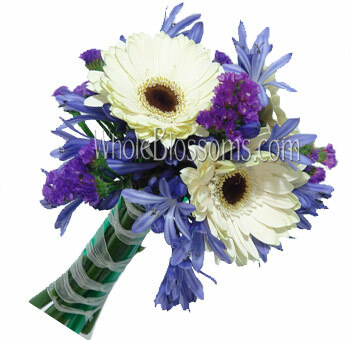 The composite bouquet is well shaped and round with flower petals placed in a circular symmetry. 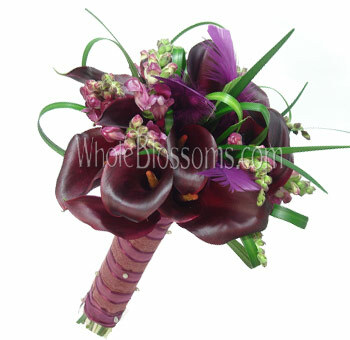 It's one of the most expensive types of bouquets because of how much work goes into it. Single petals are placed in such a way that they create one big bloom. It's a perfect choice for a modern and minimalistic bride. 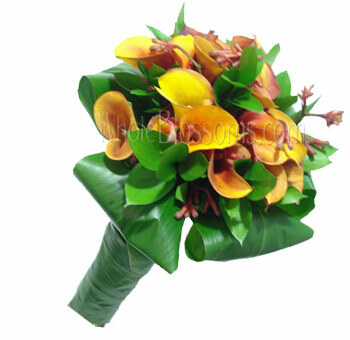 The post bouquet is another modern arrangement full of blooms and greenery. It’s a very classic and popular choice amongst brides everywhere. They are perfect for any vintage of the country themed wedding too. It’s easy to hold during the ceremony and doesn’t clash with the dress either. 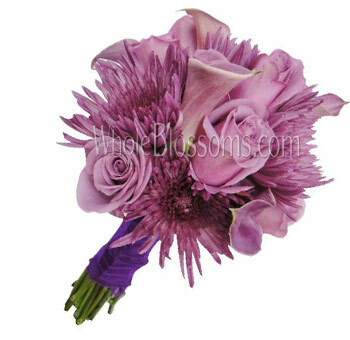 The hand-tied bouquet is a personal favorite with their loose and freshly picked feel. They are much freer and have an assortment of flowers and greenery that look like they’ve just been bundled up from the garden next door. 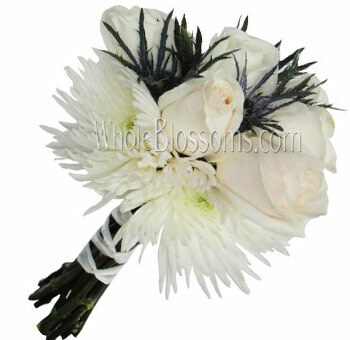 The cascade bouquet is a lovely choice for brides who want attention on the flowers. It's big, showy and voluminous. 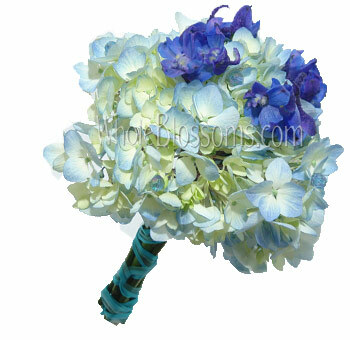 It's also called the waterfall bouquet for the obvious reason that the flowers and greenery often form a cascading style in the arms of the bride. 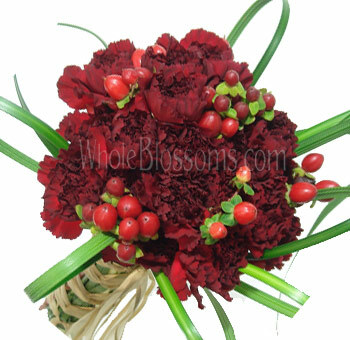 The pomander bouquet is a lovely ball of flowers that are arranged into foam in a round shape. This floral price is then held onto with a ribbon. It's a very eclectic and different but chic style for a bride to carry. Flowers for weddings can get expensive, but they don't have to. The first thing that can save you tons of money is making the purchase in bulk from an online wholesaler.These wholesalers often even have discounts for purchases made in bulk. Moreover, it's more expensive to purchase flowers from florists. If you're a wedding planner, floral designer or do it yourself bride your best bet would be purchasing flowers from a wholesale vendor. The other thing you can do to cut down on the floral expenses is DIY the bouquet. It's the easiest thing to do, and people don't even realize how much money that can save them. 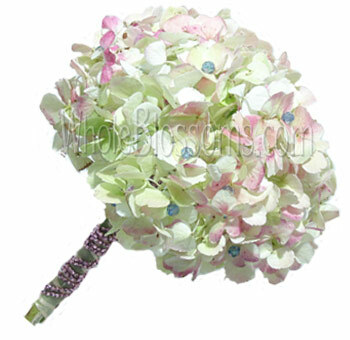 Buy DIY bridal bouquet online for a cheap and quick solution to all your wedding décor. 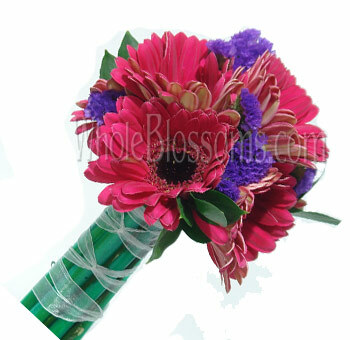 These bouquets come including a different assortment of flowers and are perfect for any season, theme or color scheme. 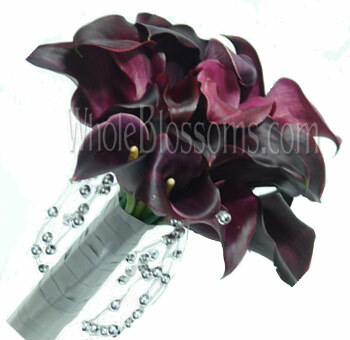 There are rose wedding bouquets as well as Cala lilies bouquet available in the market. 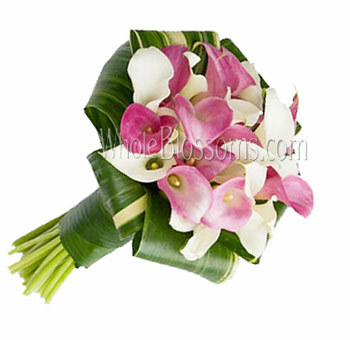 These ready-made bouquets can honestly help relieve one of the most significant stresses of the wedding process. As we've already established that buying DIY bridal bouquets online is the best and somewhat easiest choice for your wedding we must talk about where you'll make that purchase from. 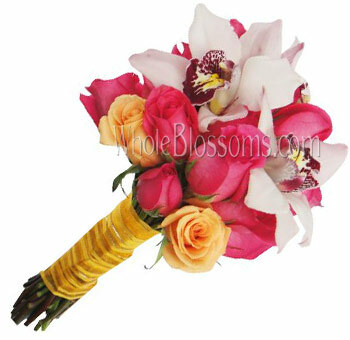 We highly suggest the renowned and recommended online wholesaler Whole Blossoms. 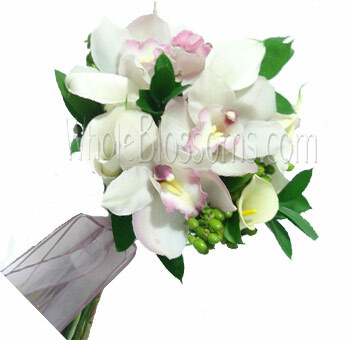 They have a large number of bridal bouquets available on their website. 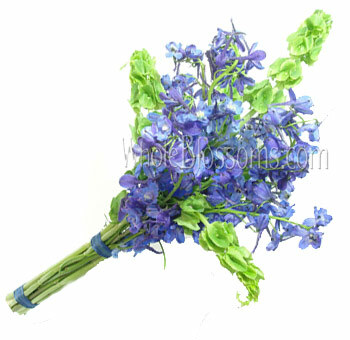 It's easy to navigate, and you can find almost anything related to your floral needs there. From fresh cut flowers and greenery to table runners and Christmas wreaths. 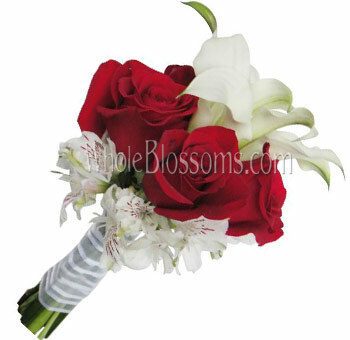 It's a one-stop destination that will provide for all your flower needs throughout the year. 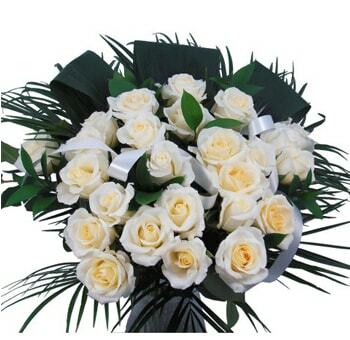 They guarantee fresh flowers delivery right at your doorstep. They even promise a 24/7 hour delivery for important events. 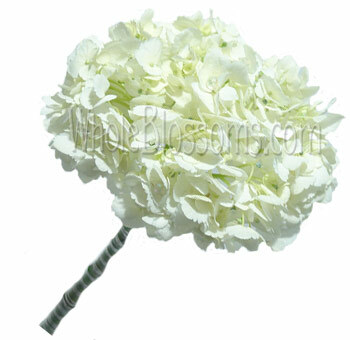 This is a life saver for event planners, floral designers and even do it yourself brides. Since they are a wholesale company, their products are quite affordable too. It's much better than purchasing from florists who will charge you per stem. They are the perfect place to get your cheap fall wedding bouquet!